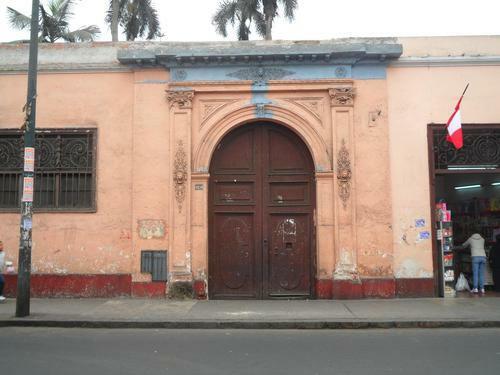 The Real Hospital de San Andres in Lima (Calle de San Andrés, Octava cuadra de Jr. Huallaga) was built in 1552 where Inca ruins rose. San Andreas was the first hospital founded in Latin America but only for Spanish People. The building admitted an hospice, a research center and a psychiatric division. In 1792 an Anatomic Department was introduced in order to allow students to dissections. San Andres held the first location of the Facultad de Medicina de San Fernando. Nowadays we can admire only the ruined main entrance, because the hospital was abandoned in 1875.